Thanks for so many wonderful comments on my post for Loft Creations Uncommonly Corduroy Book Tour! All of the Supremes on the tour had wonderful posts and each of us are giving away a free electronic copy of the book compliments of Martingale Publishing! I have chosen a winner for my post - congratulations to Pauline, of the Quilt n Queen! I know she's excited to start making some of the projects in the book and work with corduroy! This past week I have been working on making a new cosmetic bag to replace the bag I've grown to love for many years now. It finally had to be sent to cosmetic bag heaven. I'd heard there was such a thing as fusible vinyl, so I thought I would give it a try to line my bag. Here is my finished bag complete with the little pull from the old bag. (Please note this was not made from the book, I just happen to have it on my cutting table right now so I can look through it frequently and admire all the great projects). I used a pattern from Terry Atkinson here. I modified the pattern a bit. Instead of using a fusible fleece lining, I only used the fusible vinyl for lining. I box-pleated the bottom to make more room for my goodies and left off the flower and the handle for simplicity's sake. Here is a shot of the vinyl-lined inside. For a first attempt, I think it came out quite well. I'm sure I'll make it again and this time reinforce the box pleats a bit more. A blogging friend asked for more photos of Sasha and Gracie May the other day. Here they are on the bed in the guest room a couple of weeks ago. This was a rare moment - they are most often chasing each other around the house and having a lot of fun! 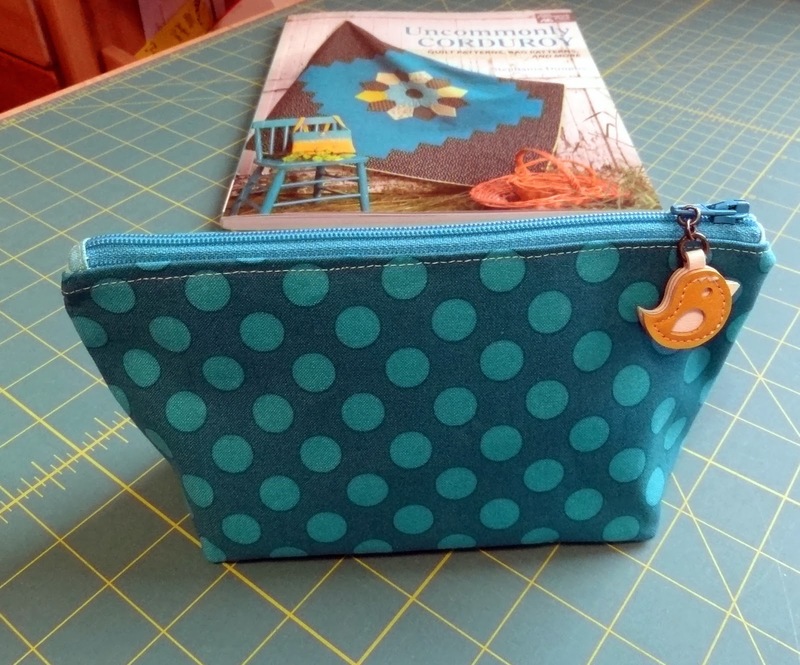 Super job on your cosmetic bag! If I didn't have zipperphobia I'd try to make one myself. The girls are looking great. I can sooooo relate to the chasing each other and having a blast. It happens in our house all the time with Frankie and Ollie. Congratulations to Pauline! She is in for a real treat. 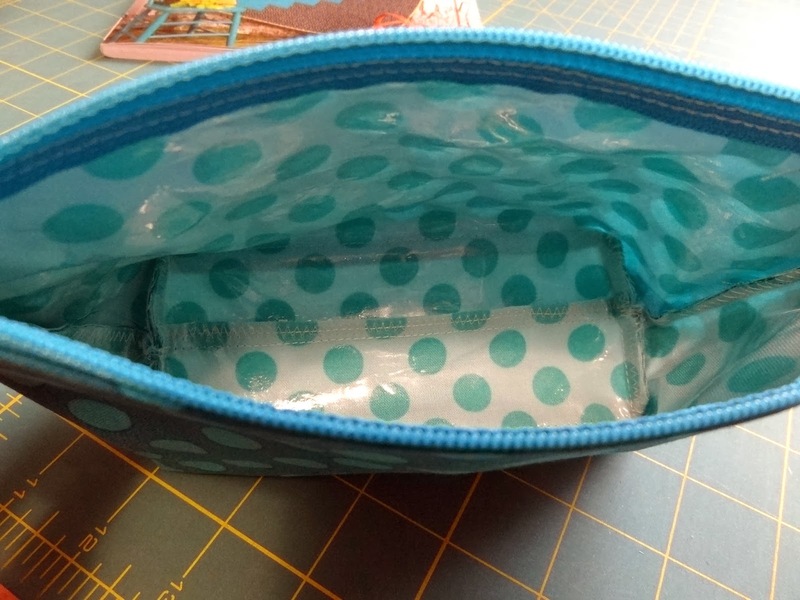 Love the cosmetic bag...I've never heard of fusible vinyl...intriguing. Aren't polka dots fun? Nice job in the bag, vinyl inside is a good choice. Congratulations to Pauline. She will love the book. I love the new cosmetic bag. The colors are great and the vinyl will really make it clean up well. Adorable cosmetic bag ! I have never heard of fusible vinyl , that would be perfect for this type of bag. I will have to check that out ! Your 2 kitty's look so cute ! very cute little bag. dots are always a cute pick. Congrats to your book winner. You do have such beautiful kitties. I just love their coloring. Congrats to the winner! I love the bag! Fusible vinyl? How cool for a cosmetic bag! I frequently use the Lollipop Bag pattern. I like your modifications to it. I LOVE your new bag. I've heard of fusable vinyl but haven't tried it. As always those 2 girls are adorable. Hugs!! 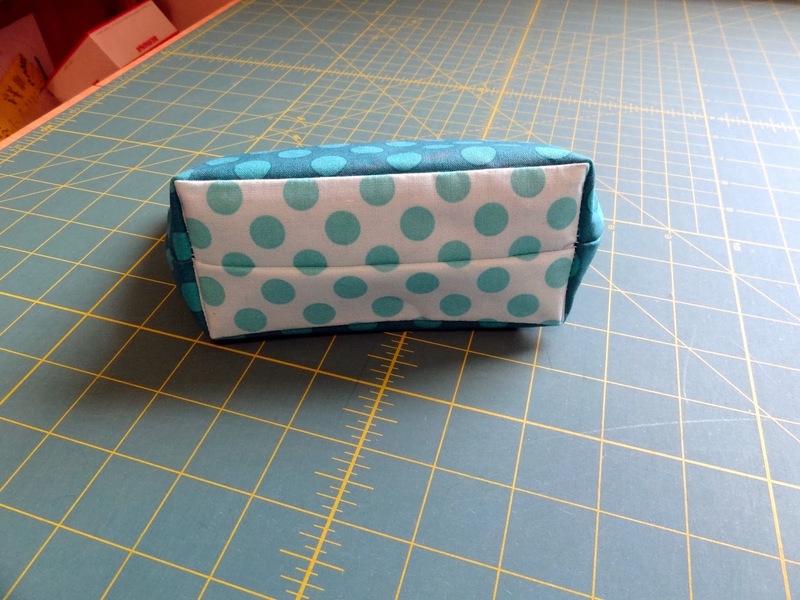 The cosmetic bag is very pretty, and the fusible vinyl sounds like a great product. I love your cosmetic bag. I've never heard of fusible vinyl but doesn't it melt? The cats are so sweet and look so innocent just lying there, minding their own business. Hi Candace...thank you, thank you...I am super excited to have won a copy Stephanie's book...I know I am going to love it especially with 17 fun projects in one book...Thank you again!! Nice little bag. Aren't they fun to make? I have seen so many with the vinyl on the outside, but, DUH, putting it in the inside makes total sense! If you saw my current cosmetic bag you would either laugh or say Eeeeyou! It's one I got as a gift with some Estee' Lauder....and it was ugly from the start. Now it's ugly and old and worn out. So, you have inspired me. Can I still do zippers? I hope so because it's time to make a new bag. Thanks for sharing. OOO that's a new one on me too. What a great idea- fusible vinyl! Thanks for sharing. Your bag looks so useful as well as pretty.